Do you ever wonder what to do with ground turkey? I guess I don’t buy it too often or I should say I buy it once in a blue moon. We probably don’t buy it too often because I am never sure how I want to prepare it. Well I have noticed on a few different blog recipes that have Italian turkey sausage and have wondered if it would be as tasty as the pork version of Italian sausage. You see I love Italian sausage and was a little skeptical when it came to Italian sausage made with turkey. But when wanting to be a little healthier I decided to give turkey Italian sausage a try. I was not having much luck when looking for the Italian sausage made with turkey in the stores where I live, so I decide to make my own. Frozen ground turkey was abundant in the stores, so that is what I started with. Next looking for the right combination of ingredients for Italian seasoning was found on the web. There were numerous recipes and I combined a couple of recipes that sounded good to me. 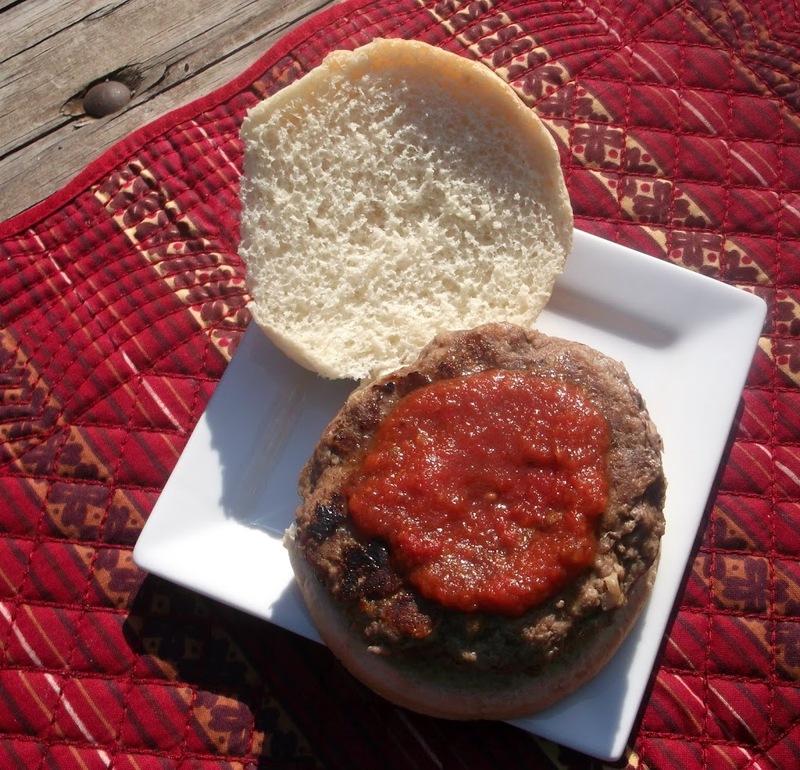 I decided to make pizza burger with my turkey Italian sausage; it was spicy and heavenly all in one bite. I added a little cheese in the middle of two burgers and sealed the cheese inside and topped the burgers with a little pizza sauce. Mike and our son Adam who were home for dinner when I made these burgers; and they loved them. Move over pork Italian sausage there is a new Italian sausage in town and it is made in a healthier way with turkey. 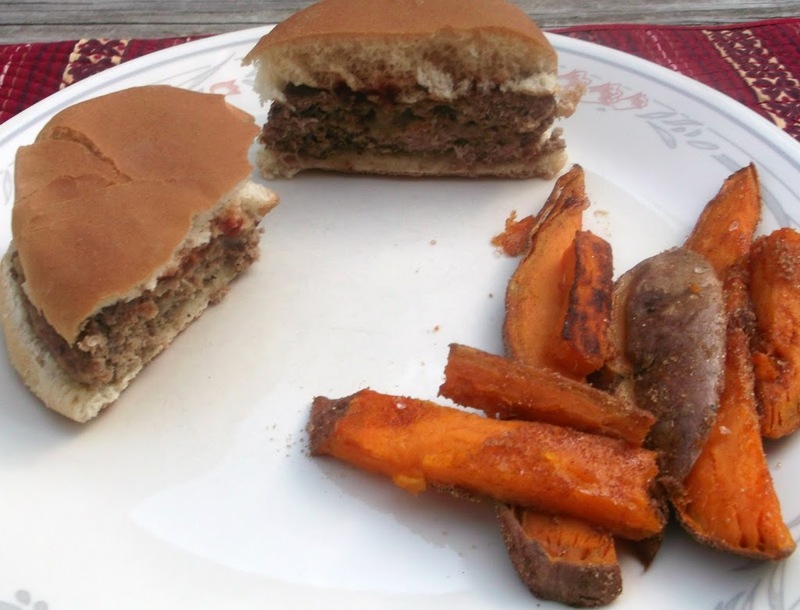 I served the pizza burgers with sweet potato fries. I will post about the sweet potato fries in the next couple of days. Mix all seasoning and garlic together, add to the ground turkey and mix well. Make 12 thin burgers, top 6 of the burgers with 2 tablespoons of cheese. The amount of burgers will vary upon what size you make the burgers. Place the plain burgers over the tops of the burgers that have the cheese and seal the edges so the the cheese does not seep out. 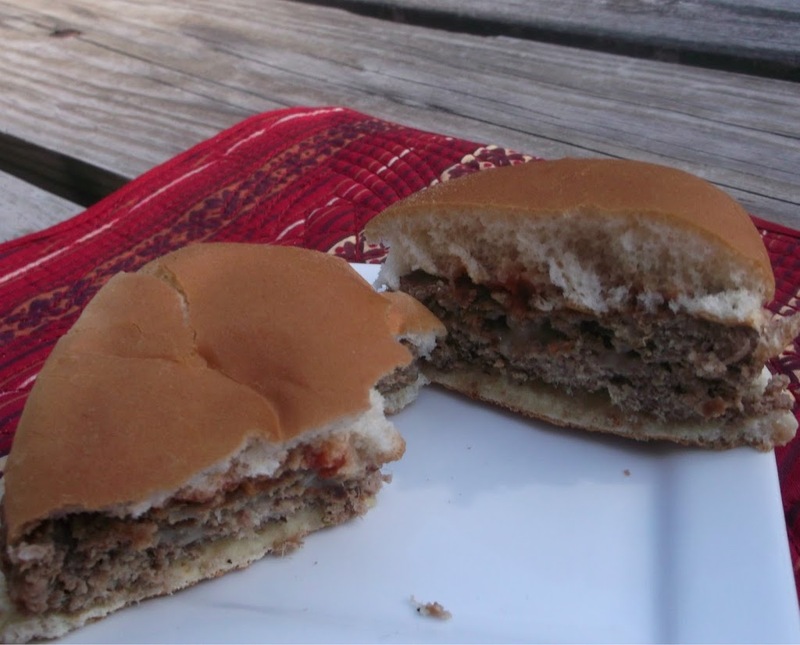 These burgers can be grilled, fried, broiled, or your favorite way. I made mine on the George Foreman Grill. Make sure to cook until the burgers are no longer pink in the middle and the juices run clear. We actually enjoy turkey burgers. The only trick is to use the right combination of spices to add to the meat. Can’t wait to try yours! Great idea! They look terrific.